The World Cup is less than 24 hours away! At 7pm on the 14th June the hosts, Russia, will kick off against Saudi Arabia. It’s then a case of 64 matches in total before the winner is decided. 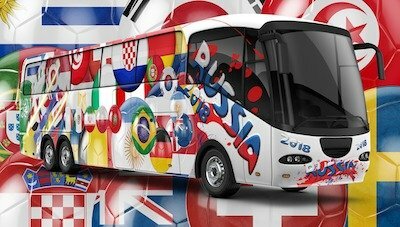 Now you might not be that fussed about the forthcoming feast of football, but the folks at Bgo.com have just made it a little more interesting. They are giving you the chance to win World Cup Free Spins for every goal scored on a match day. 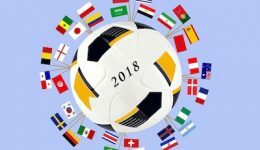 To get World Cup Free Spins, first need to opt-in at Bgo.com. 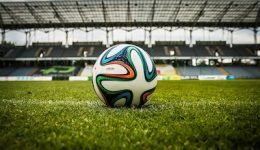 Every day there’s at least one group stage match is played wager a minimum of £10 at Bgo.com. Goals means free spins so qualifying players will receive 5 Free Spins for every goal scored by England. Players just get 1 Free Spin for each goal scored by all other countries. This offer is for the Group stages only and runs between the 14th June and 28th June. Free Spins are only available for the Football Champions Cup game but any wins are free of wagering conditions. To maximise this offer look for days when there’s the most number of games. For example on the 14th June there’s only one game – Russia v Saudia Arabia. However, on the 16th June there are four games including Argentina v Iceland. Most days will have three games, but the final group stage games (25th to 28th June) will see four games per day. Full terms and conditions are available at Bgo.com. If you’ve not visited Bgo.com for a while then you’ll soon discover that Paris Hilton has returned to the site as a brand ambassador. Although she’s not referred to as “The Boss” it’s evident that she’s following in the late Verne Troyer’s footsteps. Expect to see new adverts and plenty of promotions featuring the socialite. To kick things off, Hilton is promoting the brand’s recent welcome bonus change. At time of writing new players can collect 10 no deposit – and no wagering – spins. 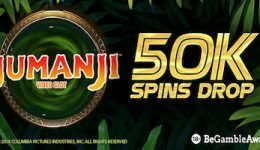 Go on to make a deposit for a further 100 free spins. Remember Bgo.com operates with a no wagering term policy although they can charge fees for withdrawals. Wagering terms and conditions apply. All details above were correct when published on June 13, 2018.